Malaga remains the second port of the peninsula regarding the traffic of cruise ships, awaiting the high season to begin in September. Despite the economic crisis affecting almost all sectors, it is a good time for cruise traffic in the port of Malaga, which continues to record positive numbers. The overall balance is positive throughout the national territory, in fact Málaga virtually remains in the same numbers than last year, but from September onwards will provide a quantitative leap that will contribute to historical records by the end of the year. 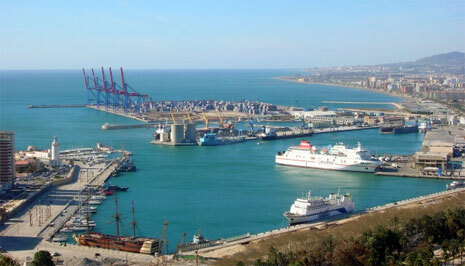 During the first six months of 2010, the Port of Málaga received a total of 182.927 tourists and 119 cruise ships. But growth will come with the start of high season, which is historically considered in Málaga during the last quarter of the year. According to forecasts by the Port Authority, Málaga will close the course of 20210 with a total of 330 cruise ships. One of the objectives of the Port of Málaga for this year’s course was to break with the historical seasonality that has ever existed during the summer months with cruise ships. In this sense the July data are positive, as there have been a total of 22 scales of cruises compared to the 16 that were recorded last year. At present three ships have weekly stops at the port of Malaga, which are the Pacific Dream (Pullmantur) and the Adventure of the Seas (Royal Caribbean) and Louis Majesty, of Louis Cruise Line. Also can be highlighted the shipping company in Malaga, Costa Cruises, which every week brings several of their vessels. Another regular provider, the MSC will begin to operate more regularly from September onwards.